Remember when Jean-Claude Van Damme was in Menlo Park visiting Facebook Headquarters? It may be a coincidence but now you're seeing Brainfail's JCVD Quiz pop up to see what character you are. After answering 10 quick questions, I ended up with Kickboxer's Kurt Sloane as I'm driven by Pride and Revenge! I'll also stop at nothing for loved ones! Sounds about right. "I want you to teach me Muy Thai"...cut to yoked and tan Van Damme kicking a tree and drunk dancing! 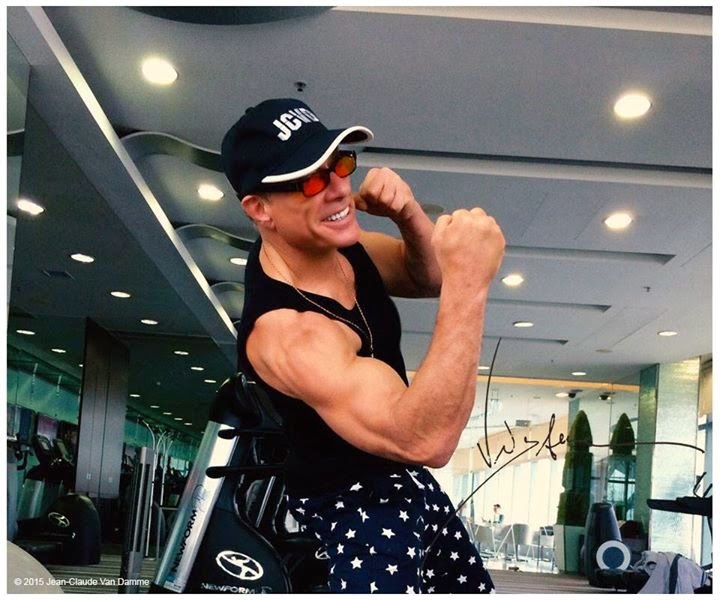 What a coincidence as JCVD is shooting or about to start on his part in the Kickboxer reboot. He's been looking in great shape recently, feeling alive and hitting the gym in pajama pants, trying to lift buildings and says mentor/instructor Claude Goetz is joining him on set. If you'll recall, Kickboxer: Vengeance started shooting last year in New Orleans with a cast that includes Georges St. Pierre, Dave Bautista, Gina Carano, Darren Shahlavi (Train in Peace) and martial artist Alain Moussi. The John Stockwell directed, Dimitri Logothetis and Jim McGrath scripted flick ran into financial issues that saw the crew not being paid for their last several weeks of work. That's not exactly unheard of in the independently financed world but it was interesting to see Van Damme's name used to bolster the headlines even though he's not a producer and hadn't even worked on the picture yet. One of the producers strangely took to social media to tell the crew not to talk about it as if he was threatening them for being upset over not being paid...The Thailand portion of shooting looks to be ramping up and IMDb is reporting a $17 million dollar budget. 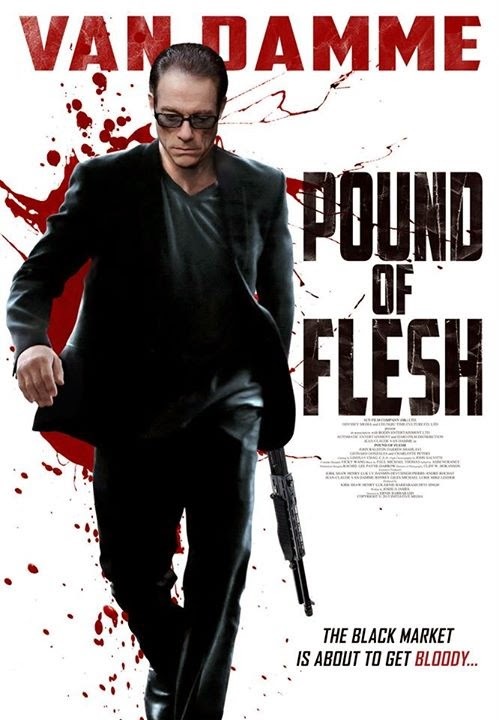 The trailer for Pound of Flesh, Van Damme's latest headlining actioner hit recently promising a gory and shady mix of organ theft, revenge and salvation set to high kicks, car chases, shootouts and Bibles to the throat on the streets of Hong Kong. Aki Aleong, who played Muy Thai trainer Khao in Van Damme's 1996 directorial debut The Quest, plays an ally. Darren Shahlavi looks like he's playing the main henchman here so be prepared for some high kicking meets rough and tumble MMA style fight scenes. The action and mood of the flick looks solid with Van Damme playing a mercenary type scheduled to donate his kidney to his niece. But after a crazy night out he wakes up in a bath tub full of ice and missing his organ. Teaming up with his peaceful bro, the duo set out to get the kidney back and save the young girl. Even in the short trailer, Van Damme looks pissed, mean and truthful, talking about damning souls to rescue the girl. 6 Bullets and Assassination Games director Ernie Barbarash helms a script from Joshua James. Hong Kong based Dammaged Goods supporter Mike Leeder produced this bad boy and the release can't come soon enough. Big Mike is on a tear as the Mark Dacascos and Matthias Hues (I Come In Peace) lead Ultimate Justice recently finished shooting in Germany. 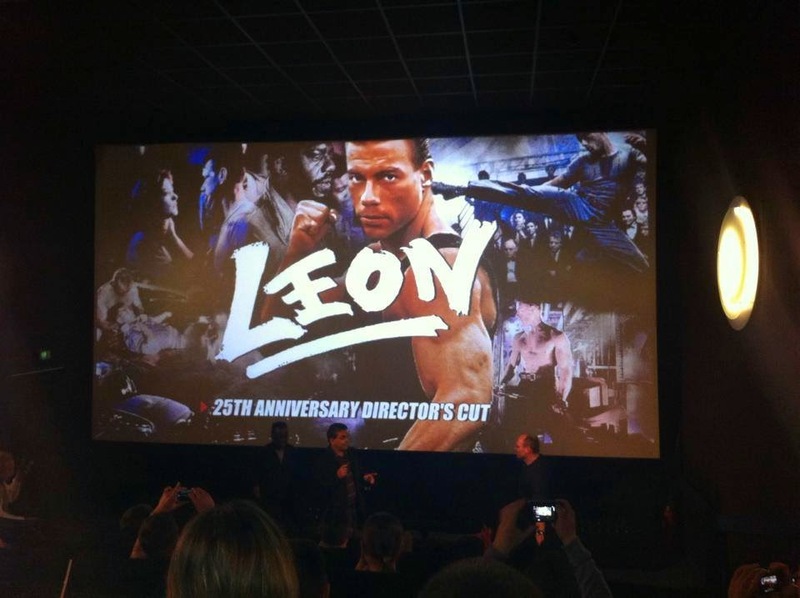 Speaking of Germany and Van Damme connections, frequent collaborator and Lionheart writer/director Sheldon Lettich along with co-star Harrison Page attended a special event in Kassel to commemorate the release of the Cult Platinum Edition Blu-Ray. A European print was found, cleaned up and screened theatrically with a Q&A with Lettich and Page after. The duo will also be hitting a local comic convention this week.